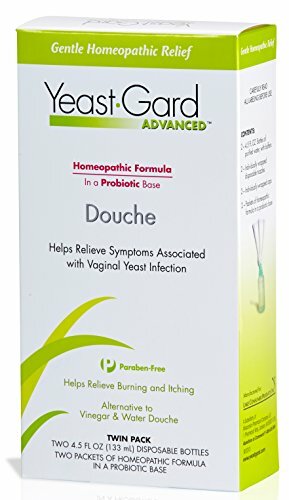 The YeastGard Advanced Homeopathic Douche is specially formulated to relieve yeast infection symptoms, including burning and itching. 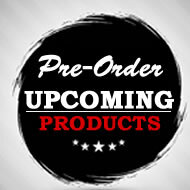 The homeopathic actives are blended into a probiotic enriched base to provide a cleansing, refreshing, and deodorizing vaginal rinse. 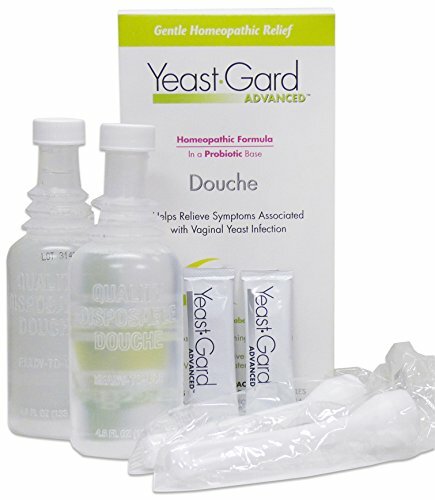 An excellent homeopathic alternative to a vinegar & water douche.